Industrial Services | BTEC Industrial Services LLC.BTEC Services Inc. Inspections based on sound principles since 1998. Our subject matter experts and technicians are all highly qualified to meet your company’s needs. -Ultrasonic Flaw Detection; Ultrasonic Testing for Mechanical Integrity (OSHA PSM 1910.119). -API 510 Pressure Vessel Inspections; API 570 Process Pipe Inspections; API 653 Above Ground Storage Tank Inspection. -Fixed and Portable Magnetic Particle Examination for welding, SCC, and parts inspection. -Fixed and Portable Liquid Penetrant Examination for welding and parts inspection. Give us a call and schedule a consult today. 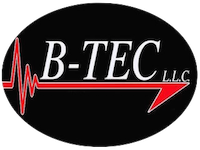 Want to know more about B-TEC ? 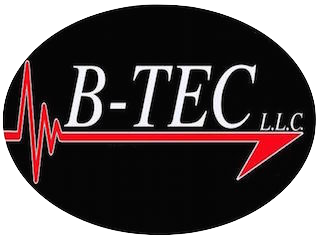 B-TEC is a privately held industrial inspection company focused on serving our customers’ safety inspection and training needs since 1998.